Here in the Philippines, siomai is a very popular food that you can easily find almost everywhere – as a snack-on-the-go from food stalls along sidewalks, or inside malls’ food courts; or in restaurants as part of their menu. The taste varies uniquely from one restaurant or store to another, and it is a good thing for us consumers as this gives us freedom to choose whichever siomai we crave and whichever suits our taste. So here you go. 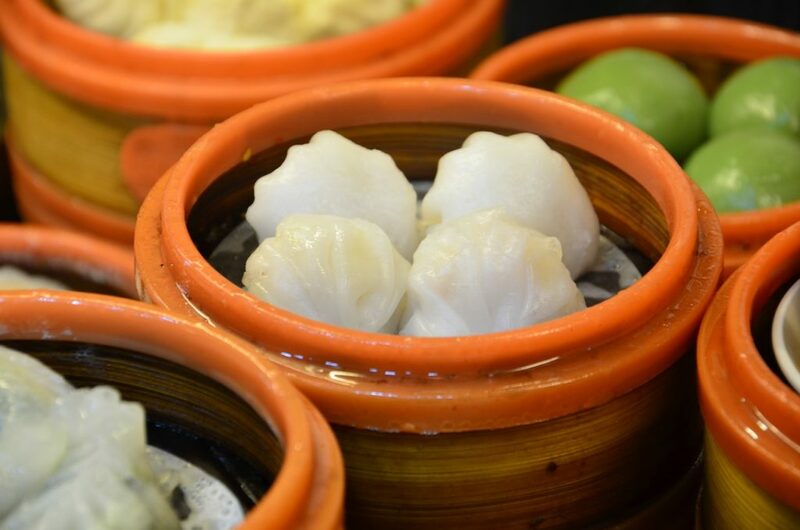 Let us know if you agree with our list, or drop us a comment if you feel otherwise, or if you know of other restaurants that offer more delicious siomai than those in this list. We will be more than willing to go there to try it out – and if we agree, we can easily adjust our ranking. Hap Chan is a Chinese/Dim Sum restaurant which has a branch in Cebu in Robinson’s Galleria. They offer popular Chinese cuisine including dim sum which includes different varieties of siomai from shrimp, to Japanese (the one with the dark wrapper – which is sea weed by the way), to quail egg. Hap Chan’s siomai is dominantly meaty and blends well with the spicy chili sauce. Hap Chan may be an overkill on this list considering it is a higher class restaurant compared to the rest of the list, but the main reason why it is at #5 is the price – but definitely a worthy contender in our Top 5 list. What we like about Master Siomai is that they sell different kinds of siomai compared to Siomai House at the same price range. They have pork & shrimp, beef, tuna, chicken, and several others. The chili sauce also tastes great, but not that spicy. The siomai has a balanced mix of meat and extenders (maybe some vegetables). If you prefer the more meaty type, you might not like Master Siomai; but their chili sauce can change your mind. Eat it with a generous amount of chili sauce, and it becomes more delicious. Most of us eat at Chowking normally for the chao fan, the siopao, or the Chinese Style Chicken. We rarely order their delicious siomai which comes in 3 pcs for a single order. Chowking’s siomai really is delicious. Though comes in smaller size and quantity compared to Siomai House or Master Siomai, it is filled with flavor and very meaty. When you order this, do not forget to request for the chili sauce or chili oil. Siomai House and Chowking are close contenders and the only reason why Siomai House is higher than Chowking is the price factor. You can get four pieces of siomai at Siomai House, at the same price that you will get three at Chowking. Siomai House’s siomai is also very meaty and larger than that of Chowking’s. The only minor issue with Siomai House is that they limit how much they give chili oil/garlic sauce for the siomai which is understandable considering how expensive the spices and ingredients for the sauce. Other than that, Siomai House’s siomai is really worth the money considering its size, quantity, and meatiness. With that said, having Siomai sa Tisa as our #1 should now be justified. You might not see celebrities (that often) eating at the side of the streets at Tisa, Labangon – but this siomai really has captured our tastebuds which gives us the regular crave. The meatiness is great, it may not be perfectly consistent, and you can chew some hard stuff (maybe ground bones), but that what makes it unique. And of course, the sauce! It won’t be Siomai sa Tisa without the sauce, the UNLIMITED hot (really hot) chili sauce – something that you can’t find in the other four on this list. The sauce is really great that I can even buy one siomai, and just fill it with sauce – and that makes my meal with three cups of rice or more! Siomai sa Tisa has really become a symbol. And that’s it! That’s Teodirico’s Ranking of the Top 5 Best Siomai in the Philippines. What do you think? Thanks again for reading our blog post and continue to follow us for featured articles, news, announcements, or other topics that will surely interest you. If you crave for some pork siomai somewhere near Lapu Lapu City, Cebu – feel free to visit us at any of our branches, where you can find the most delicious siomai in town, at the most affordable price of P10 for 3 pieces only! Next Post:Congratulations to “I Heart Teodirico’s” T-Shirt FREEBIES Awardees!